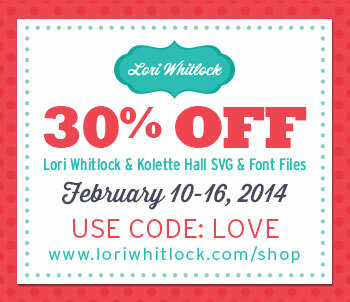 Welcome to Artsy Albums and your next stop on Lori Whitlock's February Blog Hop! If you're starting here, be sure to head over to Lori's site to start from the beginning! You won't want to miss the creative Valentine ideas at each stop! 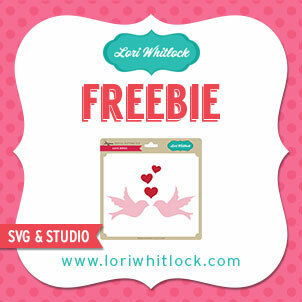 For my project, I created Lori's adorable coupon booklet! This project is super easy to create -- just print & cut the tickets, cut the album pages, and adhere everything together. Add a ribbon and your done! What an adorable gift! The tickets are pre-printed with 9 ideas, and the booklet also comes with blank tickets to write your own sentiments. And there is a GIVEAWAY here on my site! One winner will be announced on Facebook and here on my blog on Tuesday, Feb. 11. I LOVE your coupon booklet. 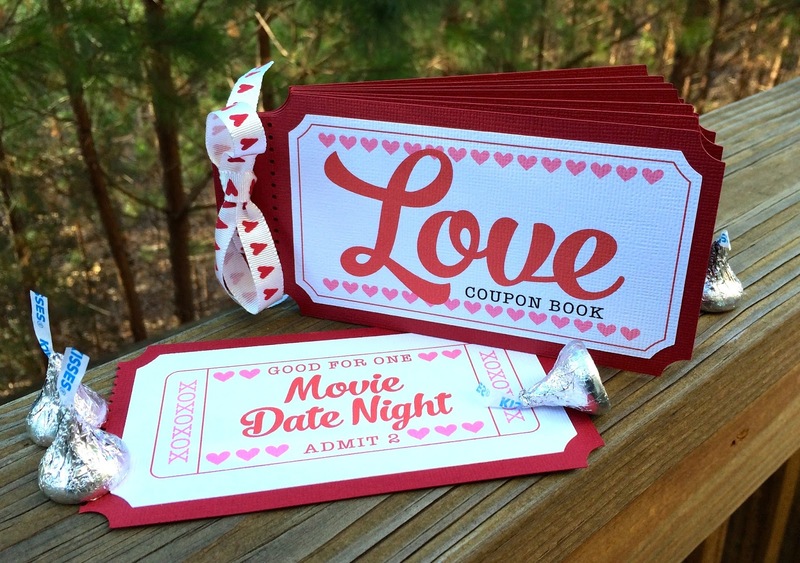 I LOVE your Valentine Coupon book! I think you have inspired me to make this for my Husband for Valentine's Day! Thank you for the chance to win! Great idea!!! Really love it! Adorable! Looks like fun to make and share with hubby! Cute idea. You could change it up for so many different people and types of items the tickets would entitled you to. thanks for sharing. This is so cute! What a fun gift idea, love it!! 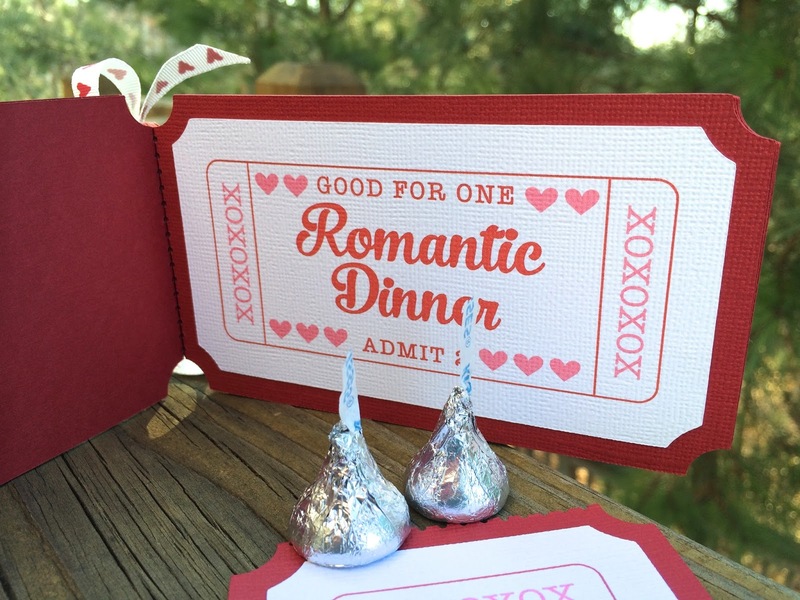 Sweet idea for Valentine! Love it! Thanks for the giveaway! My husband is so hard to shop for so this coupon book would be perfect for him. Off to the shop, glad there's a sale on! TFS! What a fun blog hop this morning! Loved your giftie project! What an adorable coupon book! Love it! Thanks for the inspiration! That coupon book is adorable. Thanks for the chance to win! that coupon book is really beautiful! thanks for a chance to win! Great project! It so cute! Your photo first looked like a giant coupon book and I thought, I love the idea of a giant coupon book and I do ;- ) You's turned out great! Thanks for sharing. Very cute. I love doing mini albums. what a great gift! love it! Love this ticket book, so fun!! 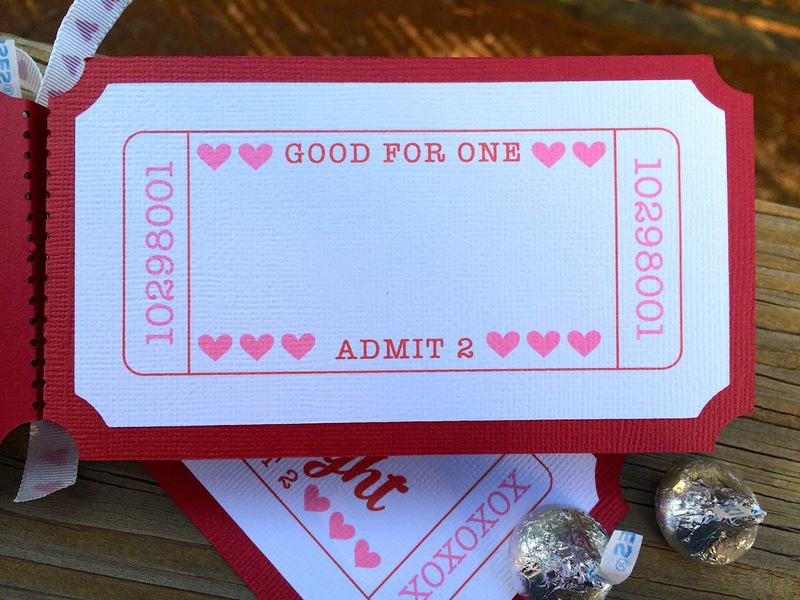 Love the ticket book idea! Coupon books are always a hit. Love it! Super sweet & cute coupon book, can never go wrong with them.